The first Octopuppy post in ages! Doesn't time fly? Things have been pretty spectacularly busy, and I've been very bad at putting anything online about any of it, as usual. One thing is that I've finished work on my next picture book, The Crocodolly. News about that before long. 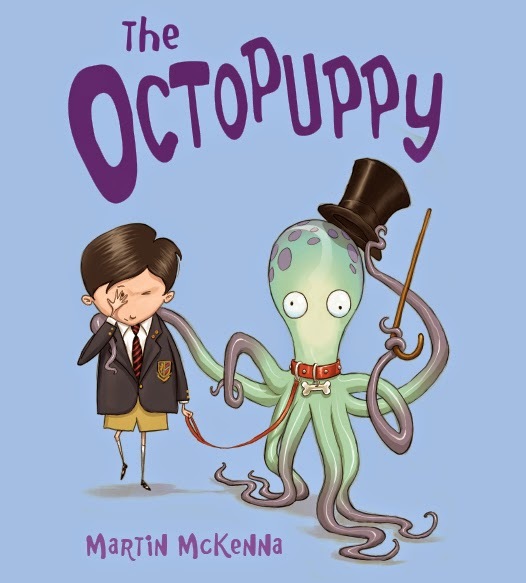 As for this post, it's mainly to say that a new paperback edition of The Octopuppy is released in Australia & New Zealand in March, and here's what the cover looks like. Unless I get swept off again on further unlikely adventures, I'll attempt to post picture book news more regular, like.